On this 12-day journey, you will have the opportunity to travel part of the Balkans which contains so much diversity in such a small area. You will have the opportunity to try the cheese and mead, a variety of wines and other delicacies from different ethnic cuisines. We will visit the capital of the Republic of Serbia, the old royal city of Montenegro, the pearl of the Mediterranean Dubrovnik, Mostar, city of two cultures and Sarajevo the capital of Bosnia and Herzegovina. Our tour guide who will accompany you will help you with exploring the region and in some locations with you will be a specialist local guides for the area. All days on this trip will be imbued with interesting landscapes and rich history of this area as well as many cultural monuments. In short period yoou will visit two capitas, Belgrade and Sarajevo, the old royal capital of Montenegro, Cetinje, the pearl of the Mediterranean as Dubrovnik and Mostar City of 2 culture. Arrival in Belgrade – dinner and overnight in hotel 3*. Breakfast, guided tour of Belgrade (Kalemegdan fortress), lunch in restaurant in Belgrade, Afternoon transfer towards Kraljevo, in middle Serbia. On the way, visit of Church of St. George, with its beautiful mosaics – dinner and overnight in hotel 3* in Kraljevo. Breakfast, morning visit of Studenica monastery ( UNESCO ) and continue towards south, picnic lunch, visit of Sopocani monastery ( UNESCO ) and transfer to Kolasin in Montenegro, dinner and overnight in hotel 3* in Kolasin town. Breakfast, daily visit of NP Durmitor and a leisurely hike around Black Lake. Grill lunch or cheese tasting under the open sky. Return to Kolasin with a short stop to visit the most beautiful part of the National Park Biogradska Gora – the Biogradsko lake. Transfer back to Kolasin town. Dinner and overnight in the hotel in Kolasin. 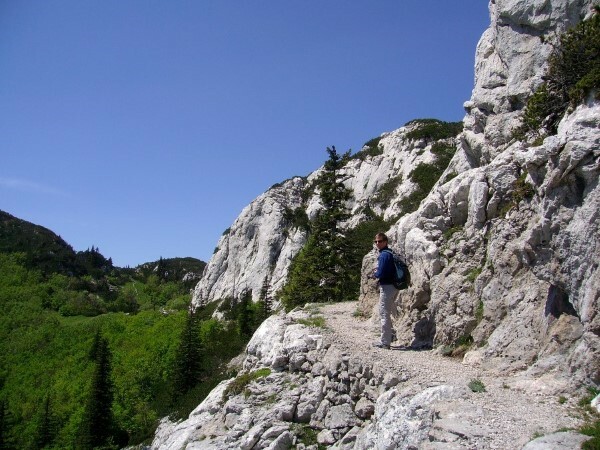 Breakfast, transfer to Moraca monastery, then have a coffee break (with small panorama tour in Podgorica), picnic lunch, in the afternoon transfer to Cetinje (old royal city) and see the highlights of the city, Vlaška, consulates, the Biljarda, monastery, dinner and overnight in hotel 3* in Cetinje. Breakfast, transfer on famous winding road to Kotor (UNESCO). 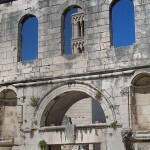 Visit Kotor and city walk here with some time to enjoy the fiordlike landscape, Old walls and cathedral Sankt Tryphon. Lunch in village Njegusi (tasting local products – porcija na tanjiru – and consist Prosciutto, chesse and a glass of honeywine). In the afternoon we will stop in Cavtat to visit a house/museum of Vlaho Bukovac famous Croatian painter. After that we continue our travel to Dubrovnik. Dinner and overnight in hotel 2* or 3* in Dubrovnik. Breakfast, boat excursion to Elaphiti islands (Dubrovnik archipelago) with fish picnic included, Later guided city tour in Dubrovnik with entrance to Rectors palace, Franciscan monastery with entry to third-oldest functioning pharmacy in Europe, Cultural and Historical Museum in the Rector’s Palace, Maritime Museum in Fort St. John, Ethnographic Museum in Granary “Rupe”, archaeological exhibitions “Early Medieval Sculpture of Dubrovnik” and “Revelin – Archaeological research / spatial development / Foundry”, and the Virtual Museum of the City of Dubrovnik in Fort Revelin. Afternoon free. Dinner and overnight in hotel 2* or 3*. Breakfast, transfer towards Mostar with visit of Ston bay area (known for oyster farms and other fresh sea food and one of the longest stone walls in Europe), lunch in Ston ( oyster and seafood tasting ) and forward to the town of Pocitelj in Herzegovina, short break for sightseeing or turkish coffee and back on the road for Mostar. Evening spent in Mostar. Dinner and overnight in hotel 3* or 4*. Breakfast, morning guided visit of Mostar with lunch in one of the traditional restaurants of the area. In late afternoon transfer to Sarajevo. On our way we will stop in Jablanica to visit museum of famous battle for Neretva river. Dinner and overnight in hotel 3*. Breakfast. Tour to Visegrad and Dobrun. Visit Mehmed Pasa Sokolovic Bridge, Ivo Andric Monument (House of Ivo Andrics uncle, where Andric lived for couple of year when he was young. The former Lotus Hotel described in the novel Bridge on the Drina, from the outside. picnic lunch, See a view of the Marko Kraljevic Tower, transfer to Dobrun Monastery, with Museum of the First Serbian Uprising, Museum of the Dobro bosnian Metropolitan. Transfer back to Sarajevo, dinner on your free choice and overnight in hotel. Breakfast, guided tour of Sarajevo (Old town, bazaar, old handicraft parts, bridge of Gavrilo Princip shots, Tunnel museum), after tour visit of village Umoljani in surrounding of Sarajevo, lunch and visit of museum in village Umoljani, transfer back to Sarajevo, dinner in a local restaurant, overnight in hotel. Breakfast, transfer to Sarajevo airport. Departure. All breakfasts are included throughout. Cuisine in Serbia, Montenegro, Croatia and Bosnia and Herzegovina are a mixture of fine seafood, grilled lamb, pizza, pasta and salads, with influences from Central Europe, Italy and the Balkans. This is a program with main focus on Balkan Culture and cuisine. 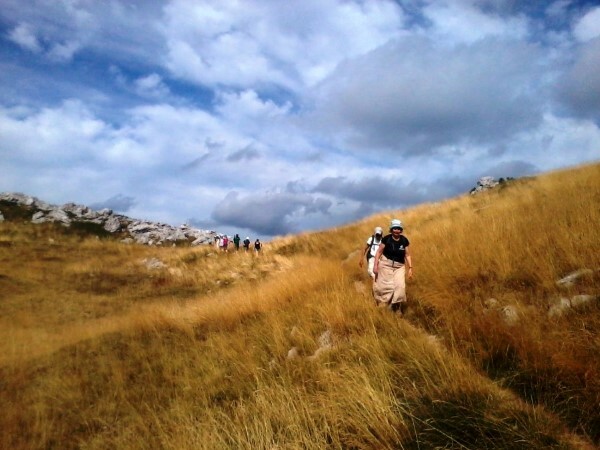 But still we recommend to take comfortable clothes and shoes because you will be all day busy wandering andd exploring wonderfull sites of Balkan. 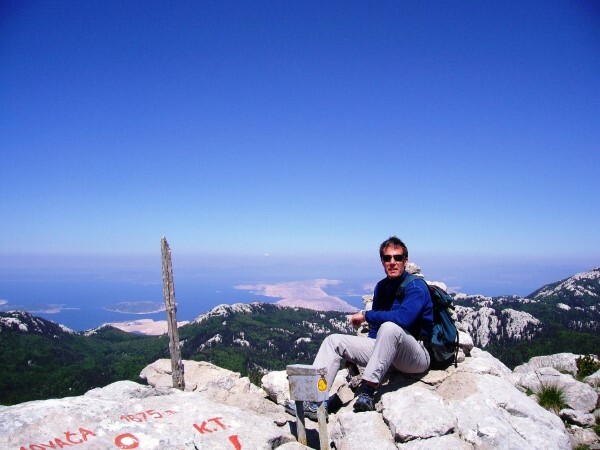 This tour is ran by our professional guides with long experience who are very keen on history, tradition and local customs of Balkan region. Find out more about your guide here. Weather can be various on this trip but mostly all parts that we are visiting have a good and stable climate. Montenegro and Croatia boasts one of the sunniest climates in Europe, and some regions are notoriously free from rain. We generally travel off-season, so you should expect some variation in temperature and possibly some rainfall. Temperatures can be high, particularly on the July departures and can reach the mid to high 30s (degC).